It’s not yet June and already our horse calendars are filling up. From Maine to Colorado and Canada, there’s a lot happening in our world. The U.S. Equestrian Federation and the U.S. Para-Equestrian Federation announced five Centers of Excellence this month. 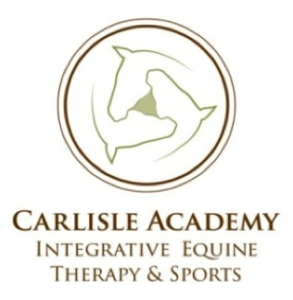 It came as no surprise to us that the most excellent Carlisle Academy Integrative Equine Therapy and Sports was among them. Read more about Carlisle here. Later this year, Carlisle will conduct para-equestrian camps for veterans, among its many activities. Check out Carlisle Academy here. 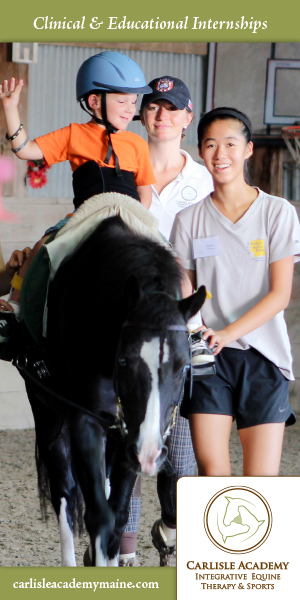 Horsewomen Nancy Lowery and Kim Stone will demonstrate their non-horsey skills. 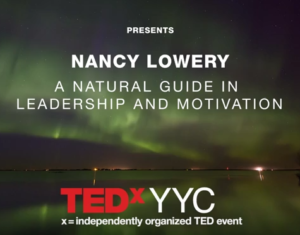 Lowery is presenting at TEDxYYC in Calgary. Her presentation “A Natural Guide in Leadership and Motivation” just might have some references to horses. Click here. Stone has a photo exhibit at 3fish Gallery in Portland, Maine. Read more about that. Amy Skinner of Essence Horsemanship will run two clinics around Michigan. Check out Events page here. And in Durango, Colorado, don’t miss the Barn Dance. A stompin’ good time to raise money for youth programs at the Durango Cowboy Poetry Gathering. 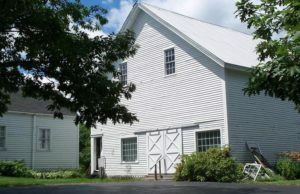 Meanwhile, if you just happen to be house hunting, check out our new listing: over 30 gorgeous acres and an historical house and barn in Searsport, Maine. Check it out here. ← The Ariat Vaquera: Hello, Gorgeous!